Hola dear friends, que tal? 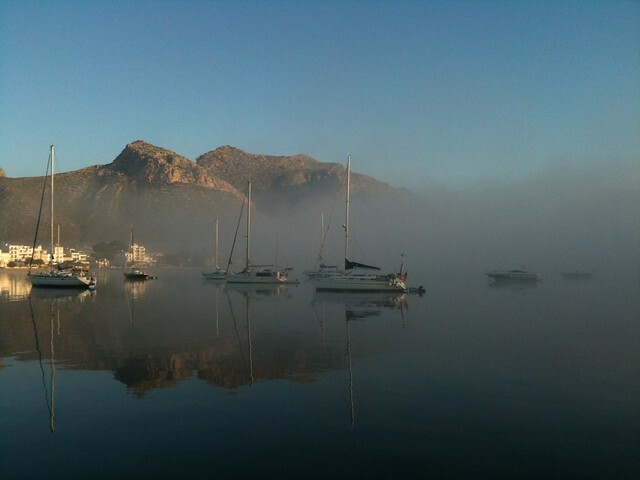 I’m writing from Port de Pollença, a wonderful bay in the island of Mallorca. I’m here to restore Memphis of Dartmouth, an old ketch from 1928 that will be part of the next project I’m working on with a few friends: Marcel Dolega, Alena Zima, Nicola Zago, Volker Saul, and Joanna Bark. The project is called Be Water. I’m busy with Phil, a kind friend who’s giving lots of help, teaching me so many things about how to fix the boat, that I’ll sail towards London through the Rhone and the French Canals in the late spring of 2013. I’m disassembling, cutting, cleaning and assembling once again. It’ll be a nice journey toward the real restoration that will take place in the UK. And I’m looking for help, but I don’t want to say more for now. Still too many things to be done and found, and plenty of work. Including the Man on the River book that doesn’t comes out from my heart, head and handa yet. I still have to process it before writing. In the meantime, many interviews, meetings, a nomination for the Classic Boat Awards as person of the year, that came by surprise. An honour that has given me so much joy and has to be extended to all the people who helped me in this project. This nomination is for them. 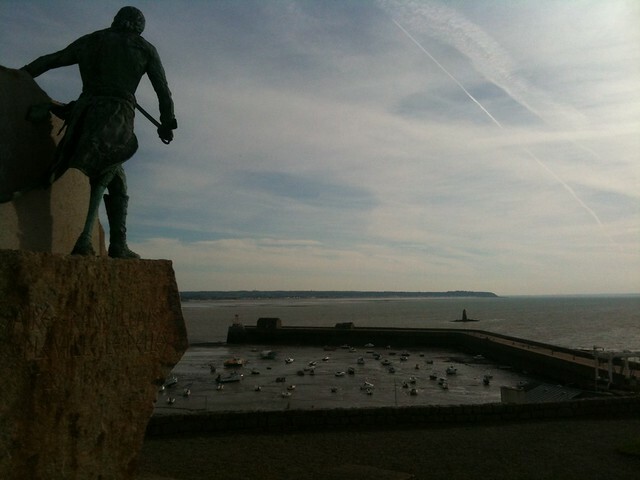 I’ve traveled for a while, sailing across the world’s bigger tides, in Granville (Normandy) toward the Island of Chausey, along with Dominique Monneron. 12,25 mt of tide are quite a lot, how wonderful. In the Stoke Mandeville Center I payed a visit to our great friend Earl, who’s recovering from the bad bike injury that had left him paralised. Looking at him getting up by himself, though hardly, has given me a great happiness. Keep going Earl, you’re a great man! Then in London at Ali’s, in Henley on Thames to meet Colin Henwood and Lucie, who’re celebrating the thirtieth anniversary of their fantastic shipyard. They’ve given me a book called Head, Heart, Hands. Such as every man should do: A society sitting too long doesn’t understand nature anymore. 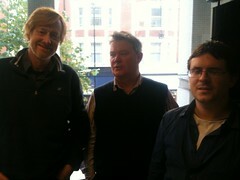 I’ve also been invited in the Classic Boat Chelsea offices, where I’v met the legendary editor Dan Houston, Peter Smith and rejoined Steffan Meiric Hughes, writers of articles about our project and a sailor himself, having circumnavigated London aboard a boat similar to Clodia. Thanks for their priceless articles. In Venice, I spoke in an Unesco conference about fluvial navigation, organised by Civiltà delle acque (civility of waters) in front of expert from all across Europe. 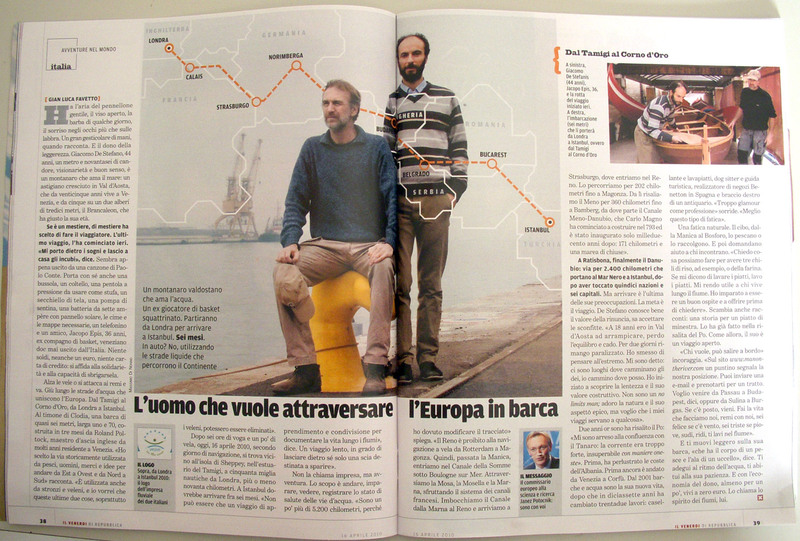 I’ve also met Riccardo Cappellozza, the last of “barcari” (Italian fluvial sailors). 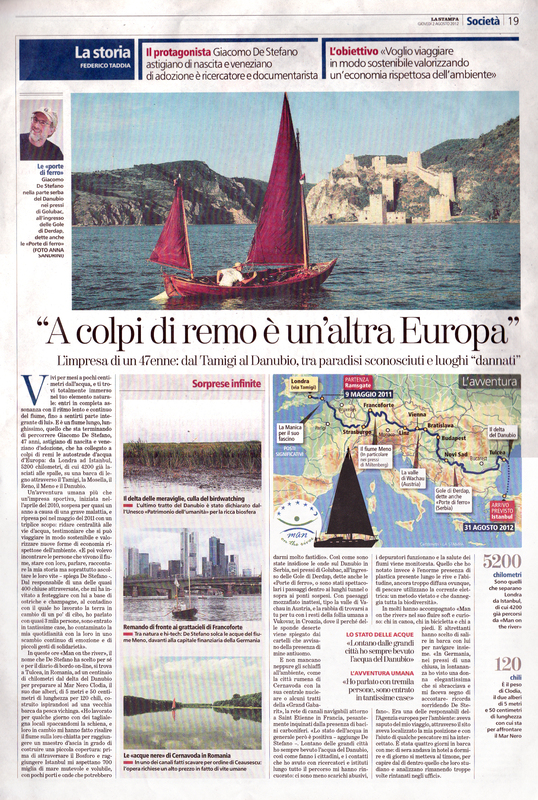 I recommend his fluvial navigation museum in Battaglia Terme. 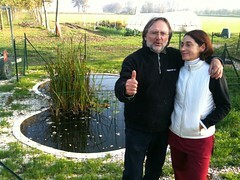 Then, back along the Po river, to see two great friends, Vitaliano Daolio e Roberta. 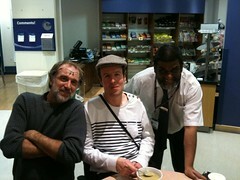 They’ve always given me great fondness and help in these years. I’ve had the pleasure to meet Alessandro Scillitani who’s filming a new documentary after the great success of his journey along the Po with Paolo Rumiz. Another wonderful person is the explorer and navigator Valentina Scaglia. 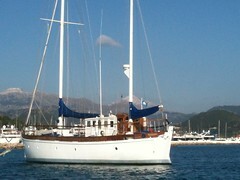 I hope to sail with her soon. Still, I payed a visit to Nicolò Zen, in his museum of Forte Marghera and his boats, to thank him about his masts built for Clodia, that have endured to everything. A quick hug to Jacopo in Venice. With him, great freindship and a huge debt. I also have to mention the wonderful Fab Lab in Verona, by Nicola Zago, Tommaso, Stefano Schiavo, Matteo, Alessio, Martina and so many other young makers, and Giovanni who prints beautiful papers with old Heidelberg printers. Last but not least, a jump in Piedmont to see Ceretto and Slow Food for the next project. I can’t keep my feet one behind the other, such as said by colonel Tillmann, great explorer of mountains and seas. I wish to thank everyone who have donated money to our project. All in all, we’ve collected about 1.200 euro that have been used to partly paid the travel debt that my unexpected illness have caused. My wish to help needing people along the rivers doesn’t stop, though. I’m looking for funds and I hope that the income from the upcoming book could help this mission. 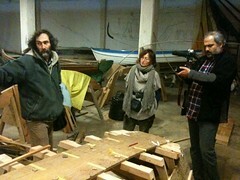 Paolo Muran, Nicola Pittarello and Anna Sandrini are working on the documentary. The economic situation is not easy, we’re trying a self-production through a crowfunding campaign by Indiegogo, since one of our producers, the Anthos film, doesn’t seem interested anymore. 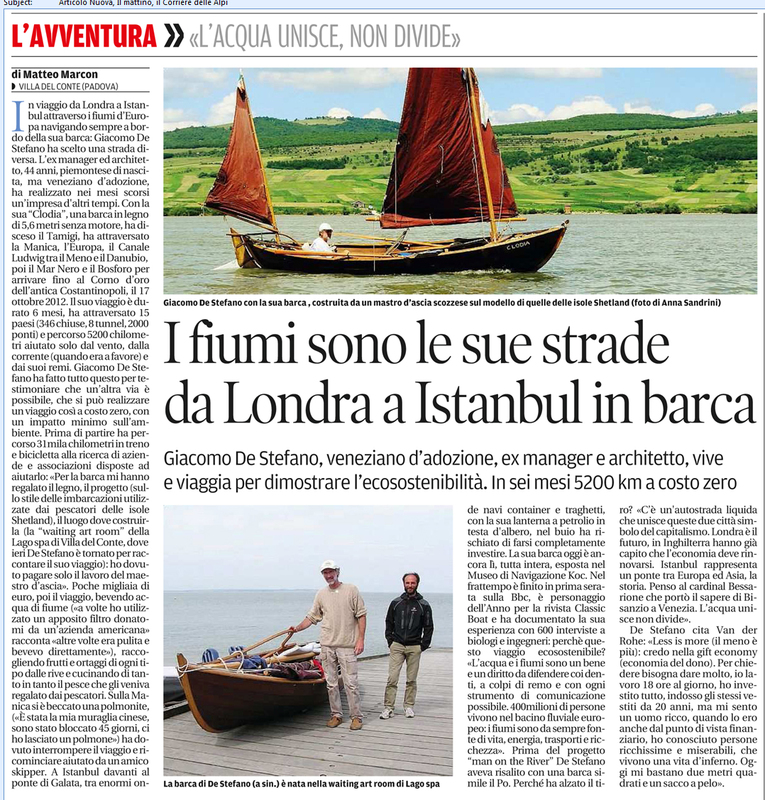 If some of you have the pleasure to listen to my story about the journey from London to Istanbul, the Lega Navale di Chioggia has organised a meeting in the auditorium San Nicolò at 9 pm of friday 25th of jenuary 2013. Water keeps flowing. Hart beating. Mind thinking. Hands working. Three new crew members, the children of Emanuele, Claudio and Nicola (and their mums too, of course) are growing up. Soon aboard? A great hug to them too. These are fabulous news my friend! Congratulations on the Classic Boat Award. You are indeed a man of the year! Volevo sapere se lei era riuscito a trovare la gallina dalle uova d’oro o l’asino che produce denari… magari li tiene nascosti da qualche parte nella stiva. Thank you Dragan. One of the many I guess. And I am sure that the best are not in the CB Awards. That’s surely make me very happy and honored to share a team work. It is indeed a great award for us. Gigi, grazie per contattarmi e per chiedermi questo. Beh dai 18 ai 40 anni ho lavorato e non avendo famiglia, nel senso tradizionale (la mia famiglia è il mondo), e vivendo in maniera molto frugale ci riesco. Con grande difficoltà ma ci riesco. Poi ho molti amici che mi ospitano quando viaggio e lavoro con loro per restituire almeno in parte quello che mi donano. Si chiama economia del dono. Non è facile, ripeto, ma donando prima di chiedere devo dire che funziona. E spesso le persone che incontro mi donano aiuto prima ancora che io possa offrire il mio. Se vuoi qualche consiglio sono a tua disposizione. We just discovered your blog Giacomo, after being inspired by your story on another site. This notion of slow travel and de-growth is so beautiful. It’s no surprise that you’ve been nominated as person of the year for the Classic Boat Awards. 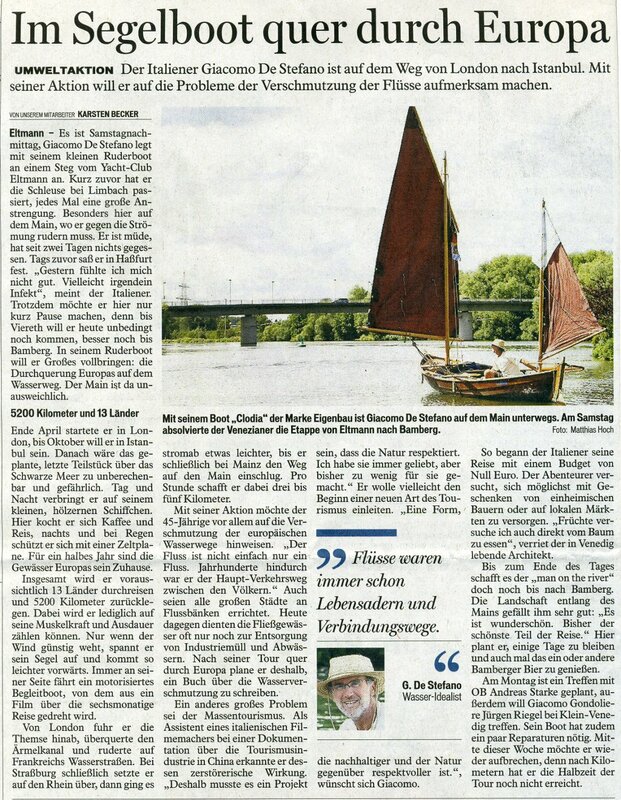 We also try to help people understand the beauty of traveling Europe’s waterways, getting to know the real culture, and of course spending quality time as a family.